Drip campaigns are an imporantant kind of customer nurturing that every marketing professional needs. This type of email marketing sends emails to segmented lists on a pre-determined frequency - taking the customer on a journey. The journey begins when the customer is added to the drip campaign. This type of marketing requires a lot of leg work up front, but in the long run increase client retention and conversion. Typically, each email in your campaign could stand alone but collectively, they encourage a specific action (using your service, purchase your product or to warm up the lead). Once you've segmented your list, created the content for your drip campaign and determined the frequency of your messages you're all ready to create your drip campaign. 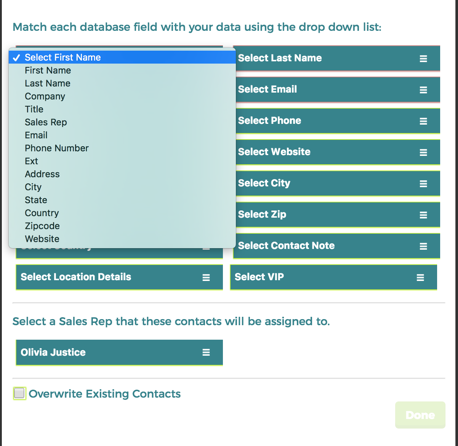 This guide shows you how to set up a drip campaign in TouchConvert. If you're not already logged into TouchConvert, then you'll need to login by visiting app.cmobuddy.com . Type in your username and password and click 'Login'. Once you're logged into TouchConvert you're greeted with your dashboard. In the right-hand panel you want to navigvate to your drip campaigns. If this is your first campaign your screen will say "You don't have any drip campaigns yet" . To create your first drip campaign click on the green plus sign on the top right-corner. The first step to getting your drip campaign is creating a Title, adding in subscribers (or importing a new list) and assigning who the emails will be sent from. Creating a title: Click into the red onlined box to start typing in the name of your drip campaign. Adding subscribers: You can add your subscribers in two ways. The first way to add subscribers to a new drip campaign is by using an existing campaign list. 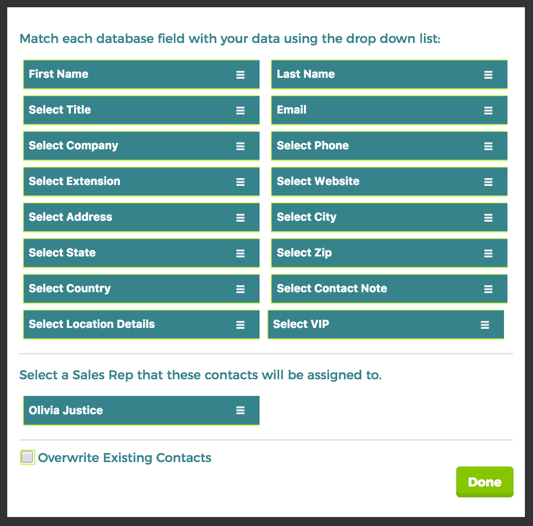 Click the dropdown to choose a list from an exisiting email or drip campaign. Please notice. There are three boxes that have a red border around them: First Name, Last Name and Email. From this menu, you’ll want to match First Name with First Name - Choose First Name for this field. If you’re seeing an actual first name here like “Joe” “Bob” “Alex” or anyone else’s first name in this area – you’re missing the headers on your spreadsheet and will need to go back and add those in. You’ll continue to map out by selecting the corresponding title to the “Select” title from the dropdown. For example, under “Select Last Name” I’ll choose Last Name, and so on and so forth. Once you click 'Done', a black bar should appear at the top of your browser as a display advising that your contacts were successfully imported. Please note: you are not required to add subscribers to start a drip campaign. You can add subscribers in at a later date. Or.. you can add in a new email address to send your drip campaign email from. Or.. you can add in a new name to send your drip campaign email from. You can add any send from name that you would like. We suggest you use First and Last name to make it look personalized. Once all of your information is added in, the greyed out 'Save' button will turn green and you can click 'Save'. After you click 'Save' you will be taken back to the main Drip Campaign dashboard and you should see a black status bar at the top of your screen that reads "Your Drip Campaign Was Successfully Added". Now that you have created the campaign you can begin setting up the emails that go in the campaign. Since you've already drafted the content, determined the frequency of the emails and added in the list of individuals you want to start on the campaign - this should be a breeze. Click on the title the drip campaign you just created (that you want to add emails to). Once you click in you'll see "You don't have any emails for this campaign yet" - To add a new email to the campaign click on the green plus sign button. After you click the green '+' sign, you are about to start building your new email. To build the body of your drip campaign click into the HTML section where it says "Click here to add content". The body of your email is handled through our drag and drop editor. After you've created the body of your text and made it aesthetically pleasing with the drag and drop editor - you'll want to copy and paste all of your plain text into the 'Text (optional)' section. Why? because it will effect your open rates. Email clients like Gmail and Outlook may look at your emails as spam if you don't have plain text behind your HTML emails. So, what do you do? Simply copy and past any text that appears in your email and paste it into this section. If you have any hyperlinks in your email make sure to include them in this section as well by typing them out. The body of your email is handled through a drag and drop tool. All the tools you need to craft a beautiful email are here at your fingertips! 1. Before you can add text, images or links, you'll need to drag down a content region. There are four different types of content regions: one large content region, two, three and four. Here we can see that you can drag the structures to modify their widths to create your own structure layout. To add text to a content region, click on the 'Text' button. As long as this button is clicked you're in the text editor. When you click in any box a text editor will appear when it is in text mode as stated above. If you click on the background icon you can change the backgrounds of each section. Click into a box with the background tool selected and a color picker will appear. See below, we've selected the top purple section as purple! Click on these draggable icons to move the sections up or down. The image dialogue box will appear. Click on the Upload tab. Click the "Add an Image" button and browse your computer for the image. Now that image is added to the email. Click on the "Link" icon to open the hyperlink box. NOTE: Adding hyperlinks to your email will enhance the tracking of your visitors on your website because you will be driving traffic to your site from these emails. This is a good thing. Provide as many action items as you can. Now to create some customized data for your message. 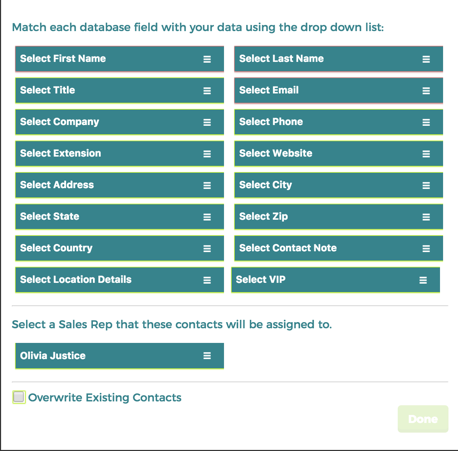 After you've created the first email in your drip campaign you'll need to test it! Send the email to yourself, and even member of your teams and take a look at it on different devices, email clients (Gmail, Outlook, Mac Mail..etc.) to make sure that it looks good before it's sent out to tons of people! After you've got the campaign set and you're ready to designate the 'send after' date. You can choose this by # of days, or # of months. Type in the # of days (or months) you want this email to be sent after. This means how many days (or months) the subscriber will receive this email after they are added to the campaign. If you're not ready to send your email - you can save it as a draft. If you're ready to save your email click 'Ready to be sent'. Wah-Lah! You've added the first email to your drip campaign. Now keep the momentum and add the rest of your emails to your campaign by following the steps outlined in this guide. If you need hands-on training, don't hesitate to sign up for one of our FREE training sessions. Check it out: touchconvert.com/training-schedule.